Rich Clark joined the Castleton faculty as Associate Professor of Political Science in 2011. He was the founding Director of the Polling Institute at Castleton University. Dr. Clark started his career teaching classes at the University of Connecticut, where he served as the interim director of the Masters of Survey Research program in 2000-01. He is an active member of the American Association of Public Opinion Research, having served as president of the Southern chapter (2007-08) of that organization. 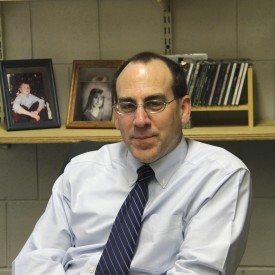 Prior to coming to Castleton, Dr. Clark had run the Survey Research and Evaluation Unit at the University of Georgia’s Institute of Government for 10 years. In Georgia, he also founded and ran the Peach State Poll, a state-wide quarterly public opinion poll on policy and economic issues in Georgia. Throughout his career, Dr. Clark has conducted well over a hundred surveys in almost every conceivable mode, including telephone, face-to-face, mail, web, intercept, exit polls, and self-administered paper surveys in business locations. He has expertise in focus groups, sampling methodology, survey development, data weighting, and data analysis.